http://www.stevenbellmemorials.co.uk/?st=maps12 Launchship Studios comes with another unique fun-filled matching Gems game with Chinese baby panda pop theme that will take you to the adventurous panda express journey. Travel to the different levels and play with diamonds, gems and jewels by matching three or more similar properties. Match five jewels in a single move and create magic gems which act like a row or column-breakers to complete the tricky levels quickly. source url Match 3 or more similar diamonds/jewels in a single move to collect and fill the treasure box. Solve the unique challenges at each level and aim to earn 3 stars. Use the collected starts to purchase the boosters that help you to use them in challenging game levels. The more the stars you earned and the more the rewards you get. ★ Spin Wheel: helps you get power boosters and diamonds to use in the gameplay and complete the challenging levels. ★ Daily Bonus: Daily rewards to earn the extra diamonds and jewels. ★ Rewards at each level based on how cleverly you complete the game with your logical thinking. ★ Completely FREE TO PLAY and in-app purchases to get extra moves and time. ★ 500+ unique and logical levels – with and full of panda express fun. 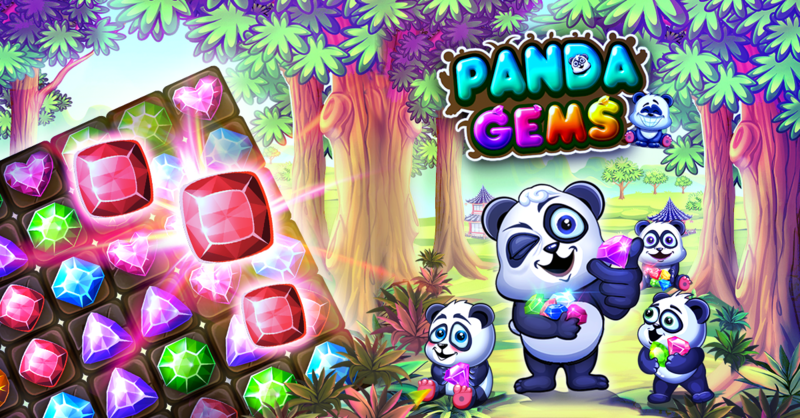 ★ Exclusive genius gems theme created at every level to take you to the adventurous panda pop for free world. ★ Fantastic unmatched graphics that you have unique match 3 puzzle game experience. ★ Connect with your Facebook account to play along with your friends and challenge them to beat your score. ★ Integrated with Google Play Achievements and Leaderboards. ★ Fully optimized for different screen sizes of all mobile and Tabs.